The 7/16 DIN connector is a robust, high power handling RF connector with relatively good PIM performance, typically used in broadcast and cellular base station antennas. 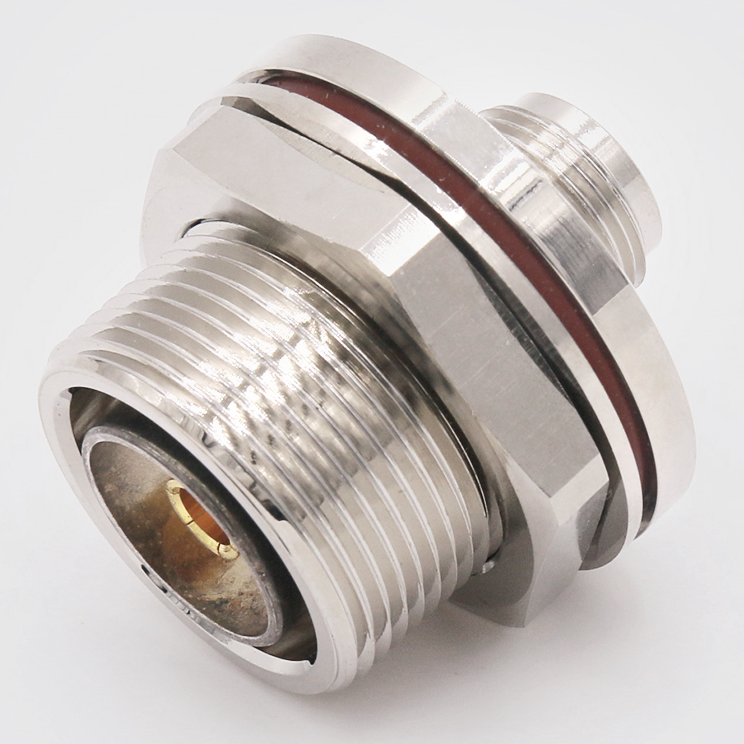 The name of the connector comes from the nominal values of 16 mm at the interface for the internal diameter of the outer conductor, and 7 mm for the diameter of the centre conductor. The exact ratio is chosen such that it gives a nominal impedance of 50 ohms. The "Navy" series connector, also known as Type-N or N-Type, was originally designed for military communications. N connectors have a 5/8 - 24 UNEF threaded coupling and are often considered weatherproof for low frequency applications, however lack of internal gaskets make weatherproofing necessary for reliable operation. N connectors have a 50 Ω characteristic impedance, with 75 Ω variations also available with modified contact and dielectric configuration. Established in 1999, Yangzhou Jingcheng is a manufacturer of high quality RF components including connectors, cable assemblies, and passive components. On the beautiful bank of the ancient Yangzhou river lies Yangzhou Jingcheng Electronics, situated in the economic development zone in the south of Yangzhou city.